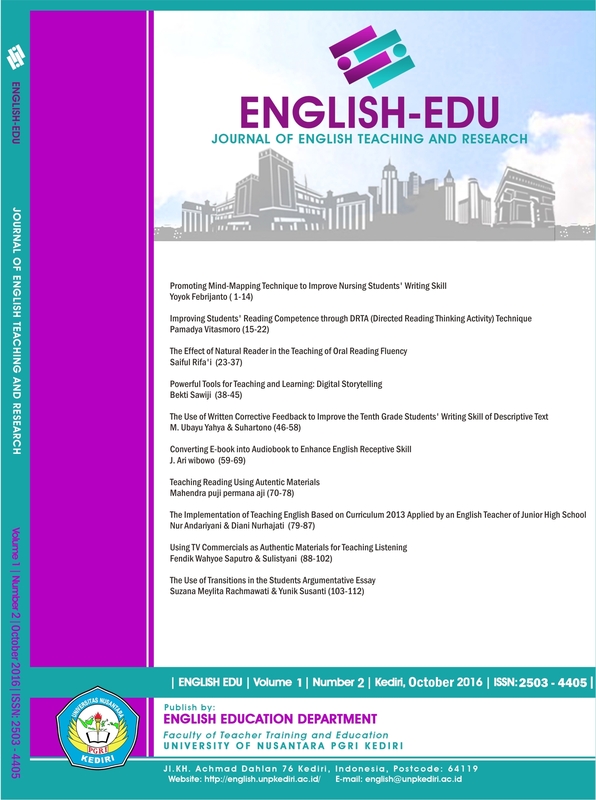 The English-Edu: Journal of English Teaching and Research publishes some articles in some disciplines such as; English Language Teaching, Linguistics, and Literature that some writers of this edition come. Teachers, lecturers, researchers, college students, and scholars are invited to join. For this edition, the articles focus on English Language Teaching and Linguistics and they are resulted from various research methods and theoretical reviews. Most of articles focus on the English Language Teaching and only one article focuses on Linguistics. In English Language Teaching, the focuses are on developing the students’ four language skills; the articles that focus on Listening skill are the article discusses about the use of TV Commercials as the media in teaching lietening and the way how to convert the E-book into Audiobook to improve the students’ Listening and Reading skills. In Reading skill, some articles discusses about the use of teaching technique and instructional media to improve the students’ reading ability. The teaching technique that is discussed is Directed Reading Thinking Activity (DRTA) and the instructional media that are discussed are the use of Authentic Materials in teaching reading and Natural Reading Software to improve the students’ Reading ability. In the way of improving the students’ speaking skill, the writer uses Digital Storytelling. The last is in writing skill, the articles are discussed about the use of mind mapping and corrective written feedback in teaching writing. There is also one article that focuses on the implementation of teaching English in Junior High School. 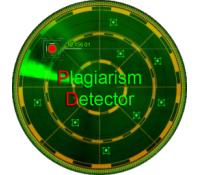 Moreover, in Linguistics area there is one article focuses on the use of transititions in the students’ argumentative writing. The appreciation is given for the writers who have actively taken part in this edition. The board is inviting readers to be a part of the forthcoming edition. The readers would be hopefully enjoyable to spend times reading articles and getting insights. English Education is licensed under a Creative Commons Attribution 4.0 International License.